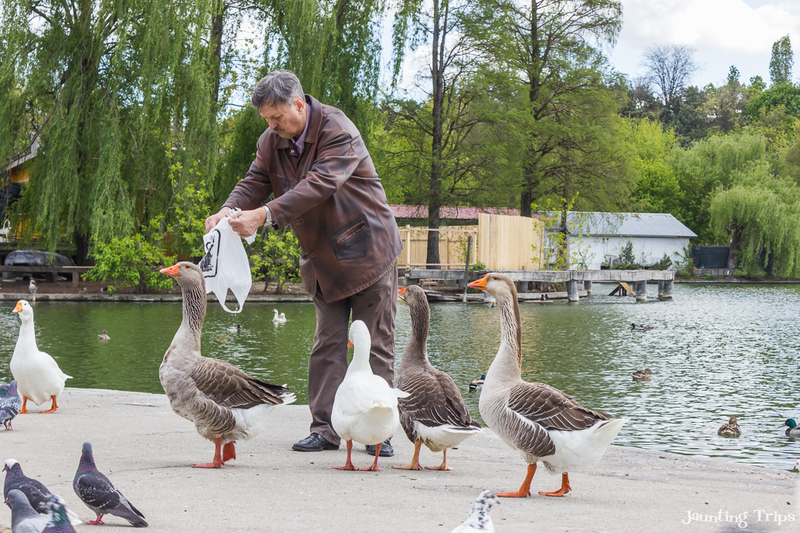 If you don’t know what “Experience Bucharest” is by now, let me tell you a little about it. 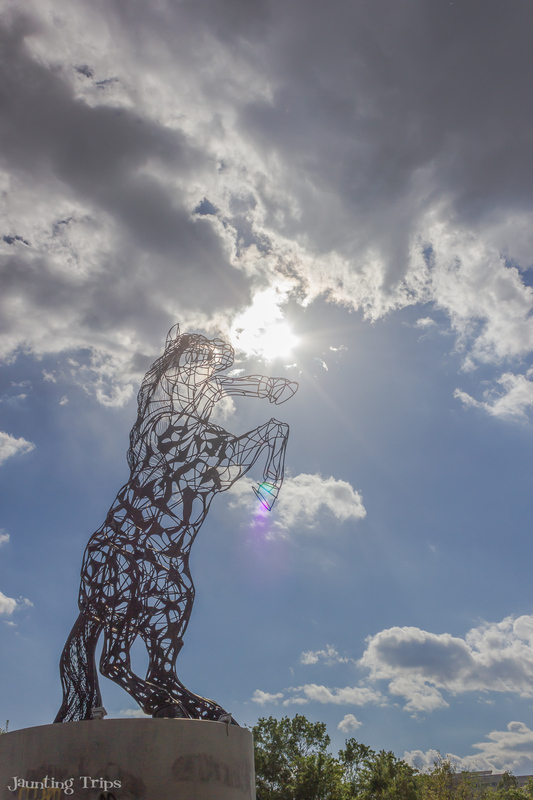 This is the biggest project to promote Bucharest as a tourist destination. What is so special about – it’s a private event based on volunteering, no city hall involvement, no government officials. So if they won’t do their job, then “we take it in our own hands to promote our capital” sort of idea. I really have to give props to all the people involved and their dedication. Nobody asked them to do it, and yet here they are doing it. They are trying to show the world what Bucharest is all about, and maybe get you enticed about the rest of our beautiful country. 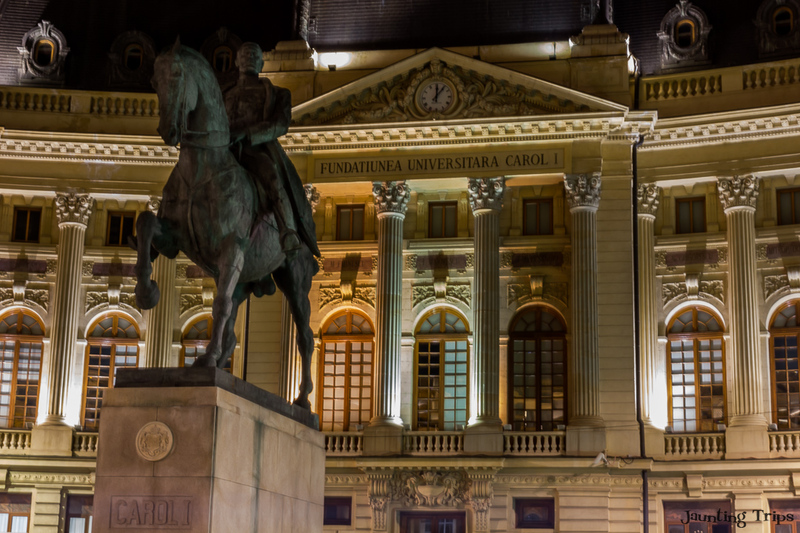 1 So why should you visit Bucharest? 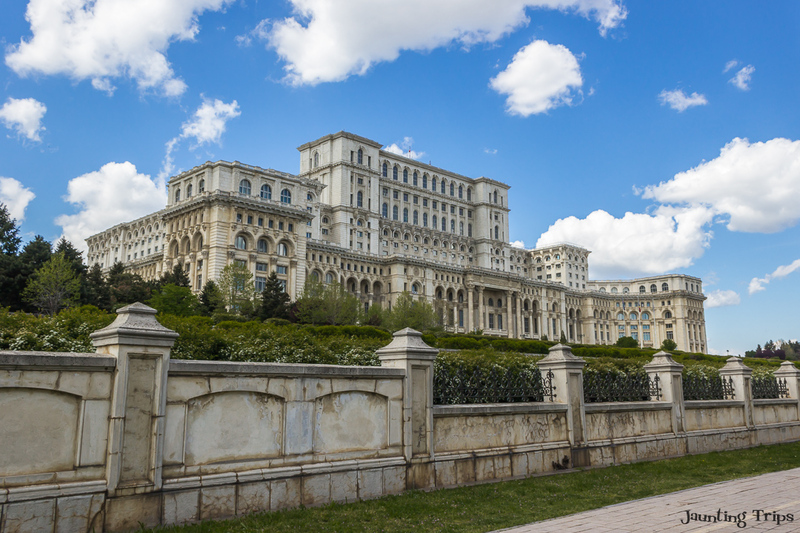 So why should you visit Bucharest? The “Little Paris” of the Eastern Europe will give you a good mix of culture, entertainment, outdoor activities and of course nigh life. I had the opportunity to work with a lot of expats. And let me tell you every single one of them had more or less the same comment: “There are two bad news in the life of an expat: First one – you are moving to Bucharest; second one – you are leaving Bucharest”. I guess there must be something to that saying. Sure, it might not be the prettiest of cities, but Bucharest has it’s charm in all this mixture: old and new, classic and modern. We have the heaviest and second largest building in the world, after Pentagon – The Parliament Palace (or the People’s House). This old communist symbol is truly enormous, with a total of 20 floor (8 underground) and 330.000 sq m. It has some “secret” underground passages, that were tested out by the former Top Gear hosts. The tunnels were designed as an escape route for the former communist leader, Nicolae Ceausescu, but didn’t serve that purpose at the Revolution back in ’89. We have some large amazing parks. 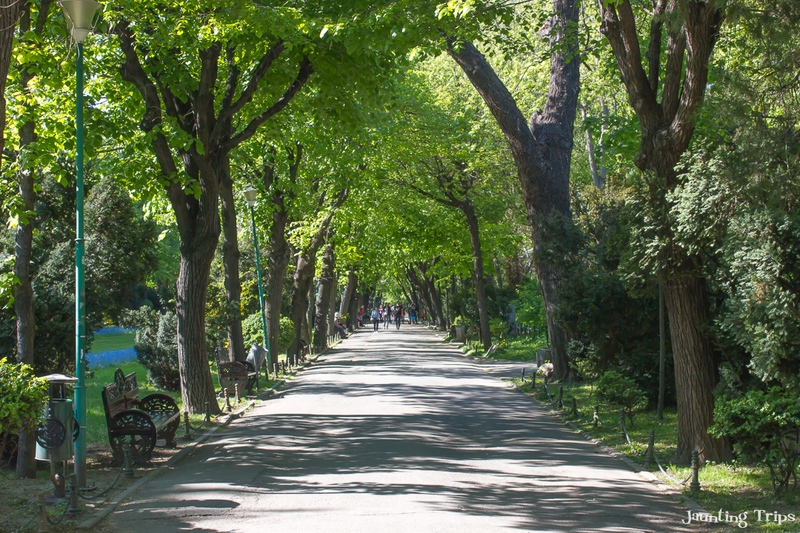 You can take a stroll or rent a bike and enjoy some good clean air. 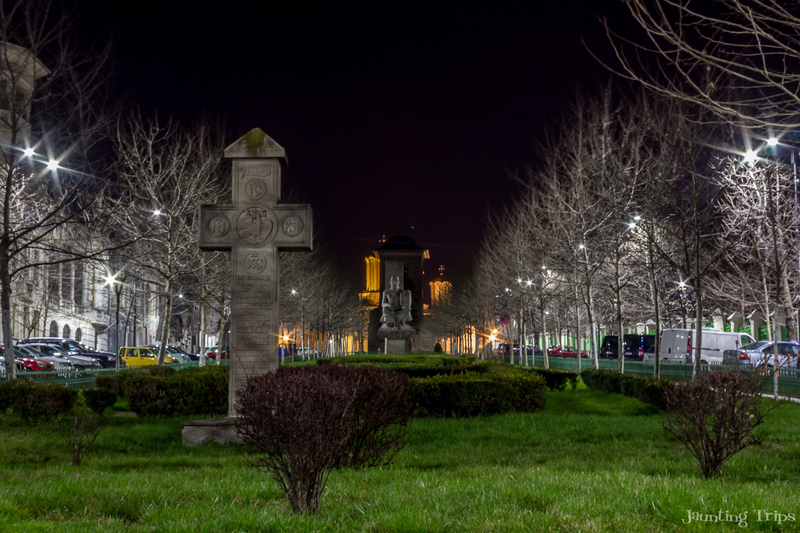 Probably the best parks to bike are Tineretului and Alexandru Ioan Cuza (or IOR). There are some large allies and there is no need to zig-zag through the crowd. In terms of beauty, I have to say that Cismigiu and Herastrau are my favorites. Did you know that one of the parks has been declared a protected area? Vacaresti Natural Park, once a grand communist project has been reclaimed by nature. Now it has become home to over 95 species of birds and mammals. Hey, if you are feeling adventurous, you can rent a bike and go from one park to the other. Oh boy do we know how to party! 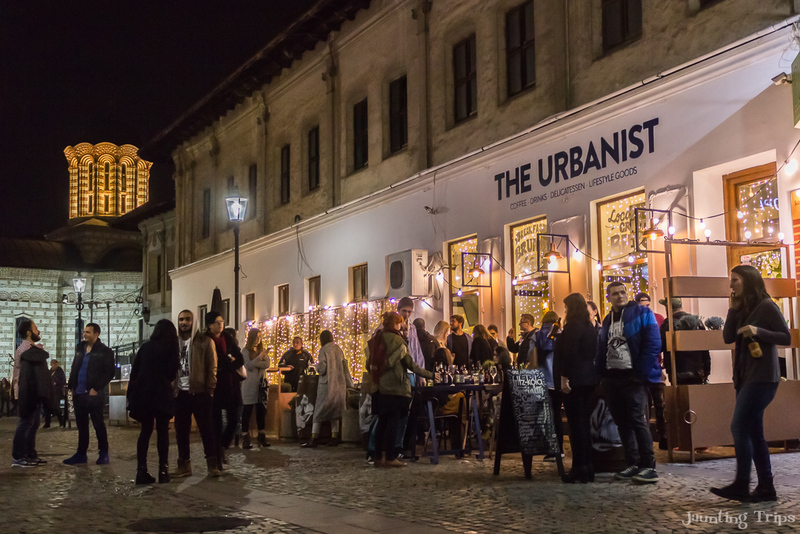 From the craziness of the Old City Center with tons of bars and clubs for every taste, to the concerts and music festivals, Bucharest really is the city that never sleeps. And let me tell you, we don’t close the bars at 2 a.m. We like to party till the morning! I am a big fan of the “hidden” spots and discovering places off the beaten path. 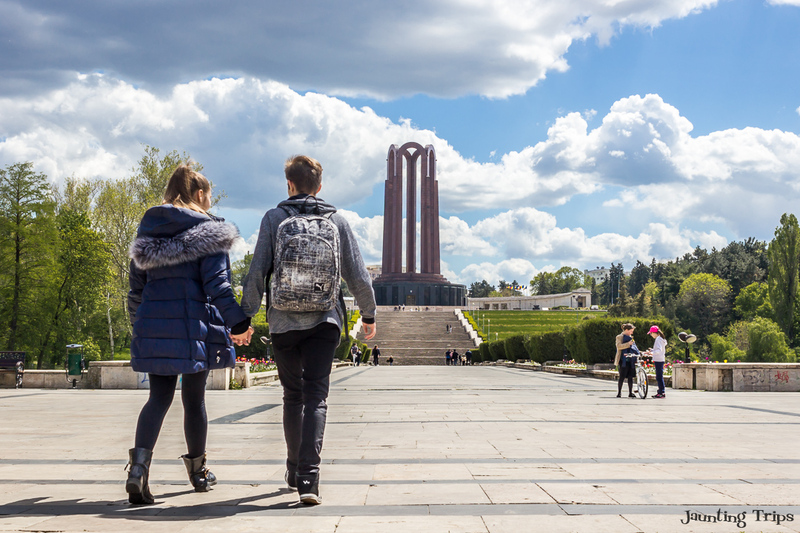 So why not give you a little insight of what you might find in Bucharest, if you decide to come. I have to start with my pet project – #UrbanPigHunt. This little tag has been appearing all over the city. It’s one of those things… you don’t see it until someone points it out.. and then that is ALL you see. I started “hunting” it for about a year now, and I can’t seem to catch up. For more, follow the hashtag #urbanpighunt on my Instagram account, and check out how it all started here. Spread throughout the city you will find some amazing murals. The ones on Arthur Verona and General Eremia Grigorescu streets are probably some of the most interesting ones. My second recommendation is literally hidden in the Old City Center among the loud pubs, clubs and busy night life. This little oasis of peace and quiet – Stavropoleos Monastery – was built in 1724 and was part of a bigger complex that also included an inn. All the annexes and the inn were destroyed at the end of the XIX century, and all that remains is this little church. Another little secret is the Xenofon stairway. Built more than 200 years ago, you can find this street near Carol Park going all the way up to Suter Palace. 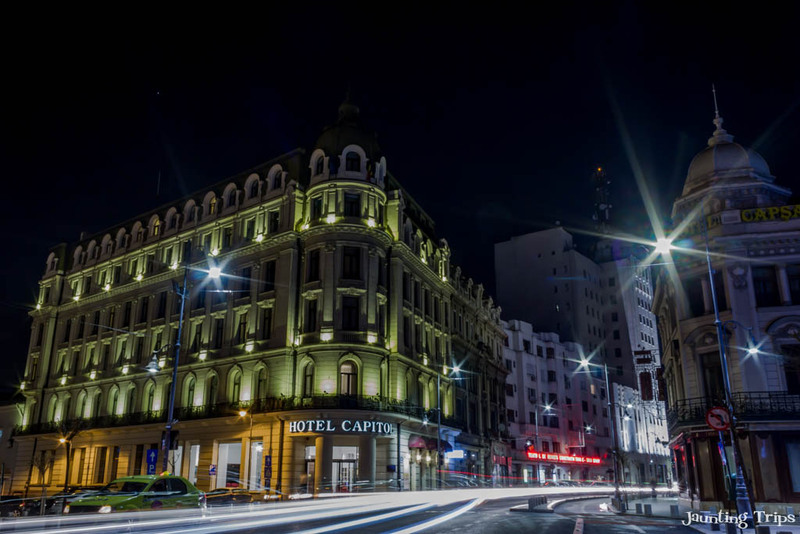 The former palace has been renovated and it is now considered one of the most luxurious hotels in Bucharest – Carol Park Hotel. And of course you are not in Romania if you don’t hear at least once about Dracula. 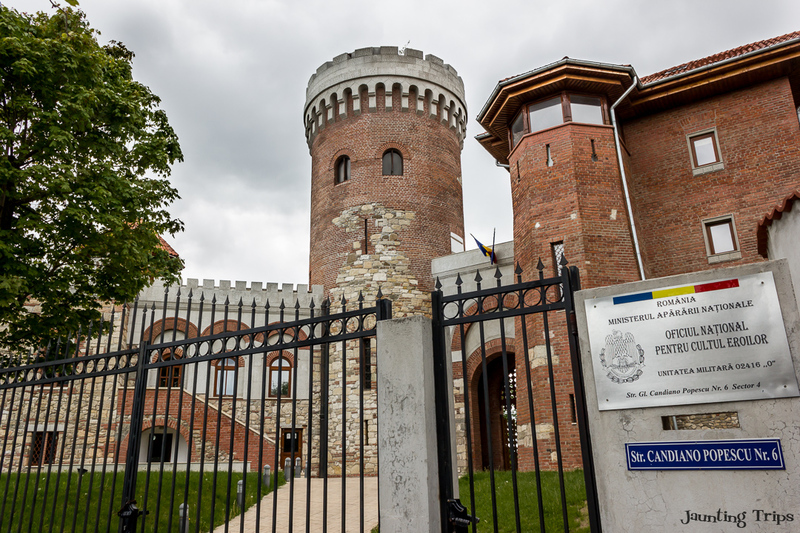 Also in Carol Park you can find a replica of the Poienari Castle, the former residence of Vlad the Impaler. It was built by Carol I as a tribute to the ruthless leader but unfortunately it can only be visited twice a year – on the Ascension Day and on 25 October, the Army Day. 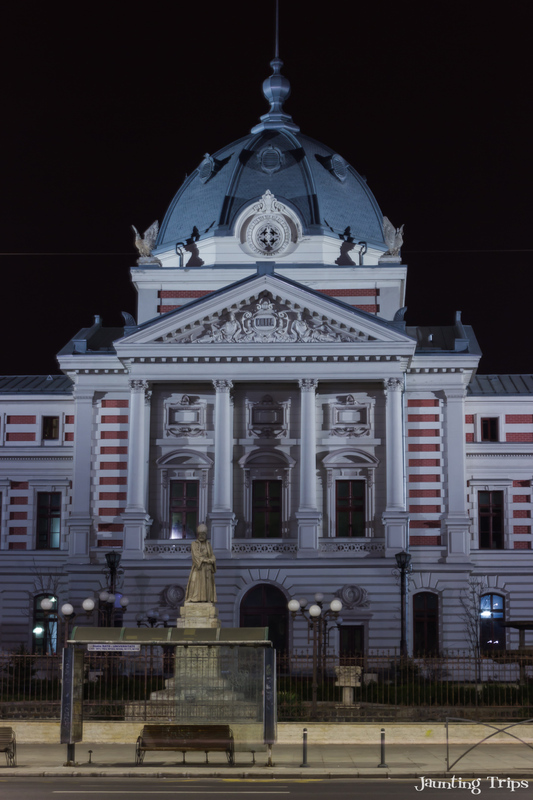 In closing I’ll leave you with some night shots and hope you’ll have a fun time experiencing Bucharest! For getting around the city I suggest taking the subway or rent a bike. For renting a bike check out i’Velo. You can rent by hour (5 ron) or the whole day (20 ron). Oh my! Thanks for showcasing Bucharest so beautifully. Loved the murals. Glad you liked it. 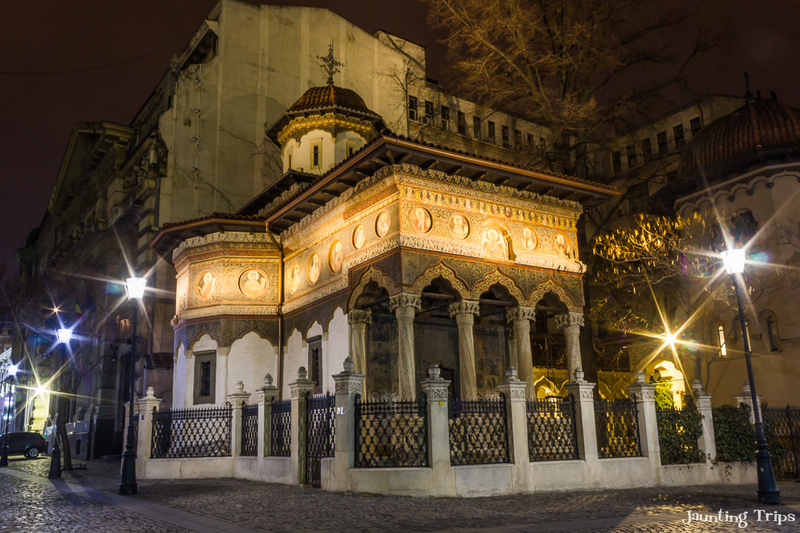 There is so much to tell about Bucharest, that even I didn’t realize. Thanks to #ExperienceBucharest I really got to dig a little deep in to my hometown. I’ll have some more stories to share for sure. Wow that street art is incredible. I have heard its amazing there but wow! So cool!